What an adorable ladybug. 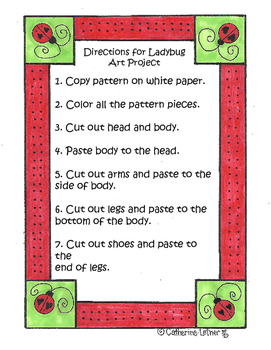 Can be made after any story you have read to your children about ladybugs or after doing a unit about ladybugs. Really a fun and significant art project to decorate your bulletin board. 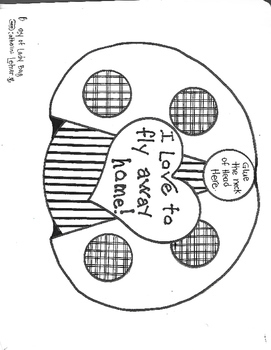 Markers are a fun art medium to let the children use for this project. How to get TPT credit to use on Future Purchases: Please go to your "My Purchases" page beside each purchase you will see " Provide Feedback" Click it and you will be taken to a page where you can give a rating and leave a short comment for the product. You will receive credits that you can use to lower the cost of your next purchase. 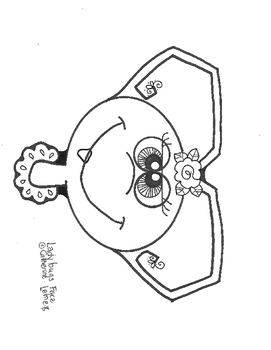 Be the First to See My New Products and Freebies by becoming a Follower. * Look for the green star next to my store logo and click it. 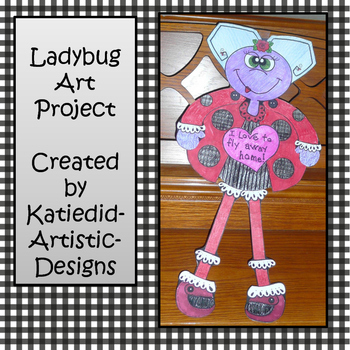 Ladybug Art Project by Catherine Letner is licensed under a Creative Commons Attribution-NonCommercial-NoDerivatives 4.0 International License.